“The reviewer from Amazon seemed to complain that this CD isn’t a great “party mix.” Depends on what kind of party you’re throwing, I guess. 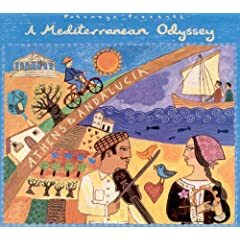 I think this would be a great CD for an evening get-together with friends who are “ethnically” inclined. It’s not dance music, but it provides some great ambience. It’s also great music to sit down and actually pay a lot of attention to. Shocking, I know! 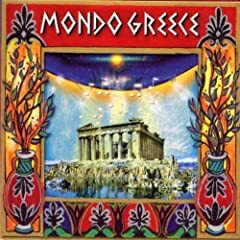 Some of the lyrics and melodies are incredibly beautiful, and instantly bring to mind both the spectacular Grecian landscape and the passion and hardships rooted in a people who struggled for so long under oppresive regimes. There are quite a few fascinating cuts on this CD, including some very rare music from Japanese musician Oki that highlight his Ainu heritage. The Ainu are the Japanese aborigines, living on the island and anthropologically quite different from the Asiatic strain of Japanese. It’s a very pretty folk song, and something you won’t find on a CD every day.My other favorite was the opening song by Zulya. She is a Tatar, that is, one of the Asiatic Russian peoples. What is interesting here is the mix of the Mali kora as an accompaniment. At first, I was a bit surprised to hear the kora (it’s not from Tatarstan–it’s an African instrument), but I must say it made for a lovely mix with the beautiful and mysterious-sounding song. 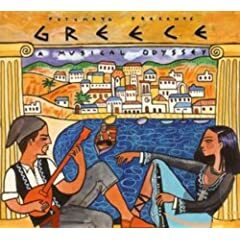 The rest of the CD is pretty good, too, with especially nice music from Persia and Turkey. 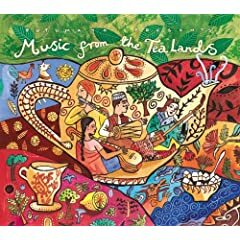 If you ever brew a pot of tea, try serving it in those thin Turkish or Russian tea glasses instead of mugs on a cold winter day, and put on this CD. Lots of romantic atmosphere, and a great way to relax. Highly Recommended. Still looking for more info on Hookahs? 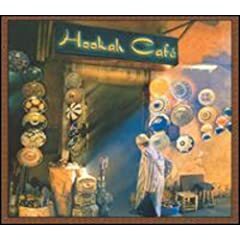 Check out our homepage at TheHookahLounge.org or head over and see our article on How To Throw a Great Hookah Party!